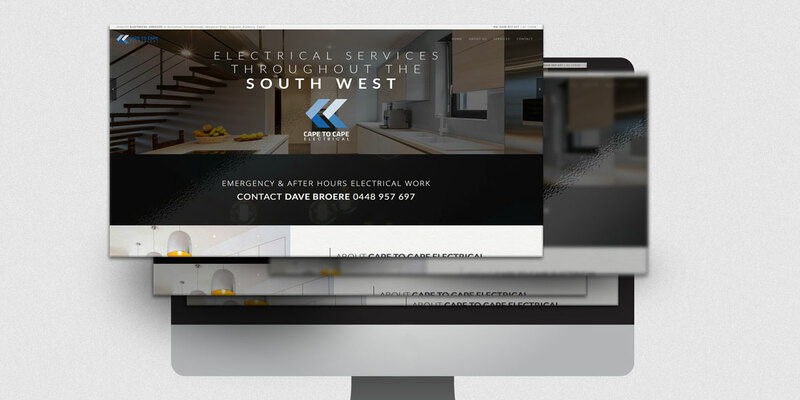 Personify designed a strong website for Cape to Cape Electrical that gives the Busselton Electrician an online presence and point of contact for prospective clients. A single page concept was developed to meet the client’s budget. This concept still allows all of the required client information such as business introduction, service offering, location & contact information, to be presented. This concept is also ideal for businesses that choose to use Search Engine Marketing, such as Google Adwords™, to drive enquiries to their website/landing page. We are pleased to report that Cape to Cape Electrical is currently listed on the 1st page of Google for “Electrician Busselton” and “Electrician Dunsborough” outranking most of the larger, long-established competitor sites. This is a fantastic result for a single page site and attests to the SEO work that we undertake for our clients. In site SEO is aided by the high quality hosting options that we offer, delivering fast loading sites and improved customer user experience. Contact us to discuss a website to help drive demand to your business.